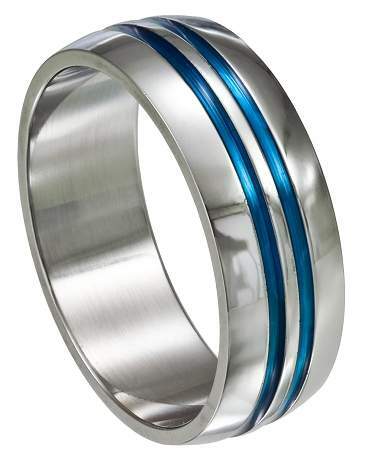 Winter is coming!This ring exudes chilly, energetic modernity.This unique accessory features two bold, light azure rivulets running down the center of a dark, metallic stainless steel background, making for an eye-catching piece.With its unique contrast of color and gradient brightness, this ring is sure to liven up any ensemble. A stunning ring. Well worth the full price of $60.00 nevermind the asking price. 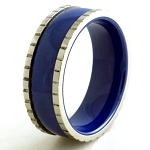 This ring is beautiful with the blue contrast to the stainless steel. But, it is also fashionable and comfortable. Great Value. 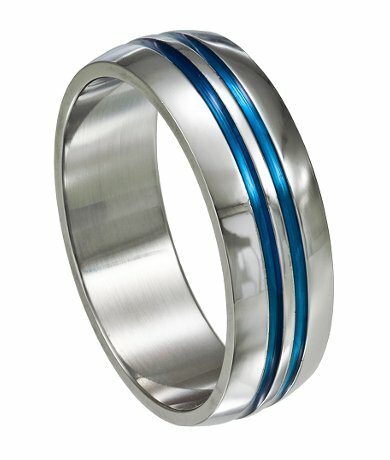 I was absolutely amazed at the quality of this ring. It fit perfect. I will be a repeat customer. Love the ring the size came in perfect. The ring was sent way before I even thought I would have gotten it. It looks just as nice in person than online. Great price for great quality. I would purchase from this company again without a doubt! 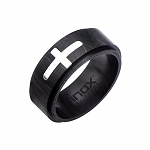 The ring is quite comfortable, and looks great! Only reason I didn't give it 5 stars is because the blue is not quite consistent all the way around, not big deal though.